We had a delayed start to our school year. Georgia came down with a pretty bad case of pink-eye (she's never had it before…so of course….yesterday made sense for it to visit us) and wasn't able to attend school on her very first day of kindergarten. She was fairly ambivalent to the whole thing. 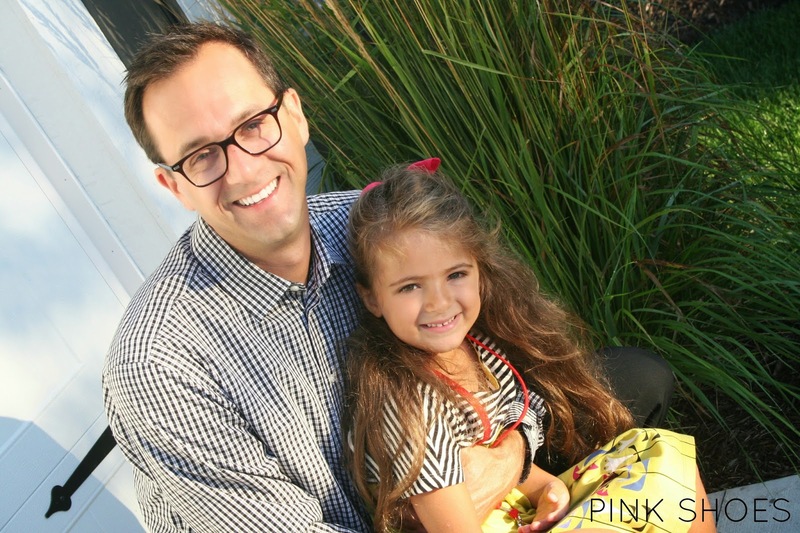 I, of course, felt like I'd instantly become "that" parent in one fell swoop. My husband assured me that in the grand scheme of life this was a '0' on the scale of tough stuff. And in the end, it truly was. Today, however, was the day. 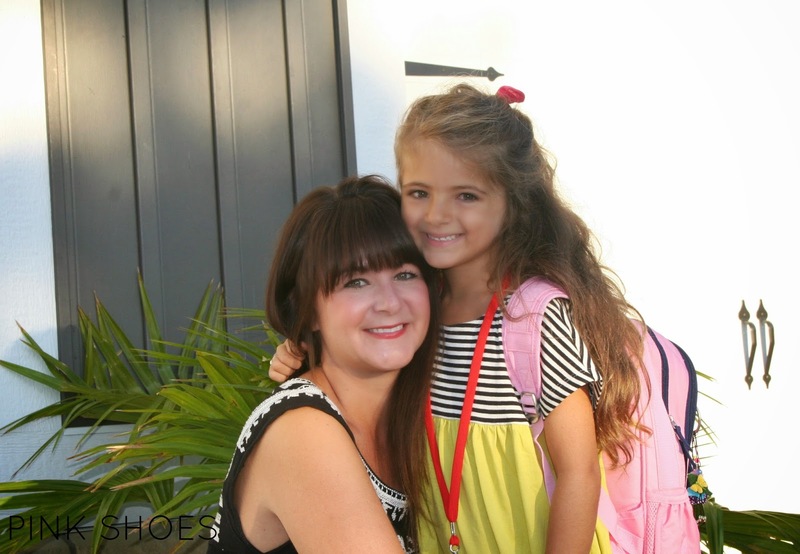 First day of school…..Take 2. And I cried. Like I knew I would. But not until she was climbing the stairs to the bus. She'd gotten quiet waiting in line with her friends to get on and I hugged her and could feel her little heart beating so hard. But she smiled, and got on, and had a seat with a few of her other neighborhood friends, and waved to me, and I could just make out her little hair bow through the tinted windows and knew she was okay. And they drove off. With my world. And it's 10:30 now and she's been in school for about two hours and I wonder what she's doing and how it's going and if she's laughing or taking inventory of everyone who isn't following the rules (let's be honest here) or, or, or. And it's the strangest feeling I've had in five years. My moms friend said that sending your kids to school (or really anywhere on their own) was one of life's necessary losses. I like that. It makes this school transition bearable for me. Not enjoyable mind you--just bearable right now. I'm sad that on my days off the house is empty; I don't have her to run errands with me, beg to go to Target, ask to make cupcakes or a made up recipe, brainstorm a craft with, watch a movie with, or just hear her playing upstairs talking to her dolls. It definitely feels like a loss for me. Walking back from the bus stop this morning another mom described it as "feeling like you lost an appendage." It's true. It feels like a loss. For me. For her though…..she's gaining independence, growing her confidence, learning how to love education, honing her work ethic, relating to other people, making new friends, cultivating the fine art of give and take with other people, and realizing how capable she is without mom and dad always right there next to her because we've provided her so many tools with which to work. She's gaining where I might feel like I'm losing. But it's that necessary loss idea. Without me feeling sad, and getting used to this years new normal she won't gain some of the incredible things I know come with a fantastic kindergarten environment. My pastor always says…..we aren't raising kids….we're raising life-giving, productive adults…..and sometimes that hurts. We'll be good, I'll be okay, and she'll be amazing. 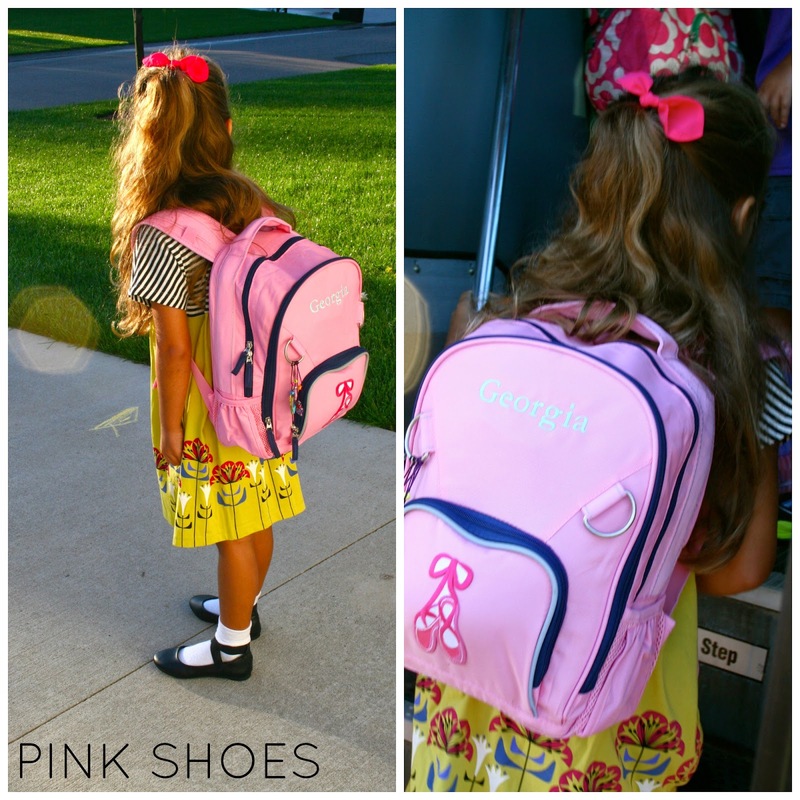 Happy first day of school…..or, er…..second…..wherever this days finds you! I enjoy reading your writing, Maggie! You are very gifted! This one inspired me to respond (instead of just "stalk") because it truly is the first of many "necessary losses." Just after we took my daughter, Karen, to college last year I found a little piece I wrote for the MOPS group at church regarding Karen's first day of kindergarten. I was overcome by the fact that not much had changed -- Karen bounded into kindergarten the exact same way she bounded into college -- a slight gaze back at me but fully charged at what lay ahead for her. And I felt the same sense of loss -- the same sense that she doesn't need me in the same ways as before but a whole new set of ways now. I just got a text yesterday that said "thanks, mama. I needed you!" after a series of texts about something she is working through. It made my day to know my independent young lady still needs her mom :) We have to hang on to that and enjoy those moments, don't we? You have a beautiful girl! Very happy for this new phase you will experience together! The Pledge of Allegiance & Math vs. Home.